Theurgia Goetia a famous book medieval grimoire of spirits of mixed nature. Goetia shot to fame with 72 demons. 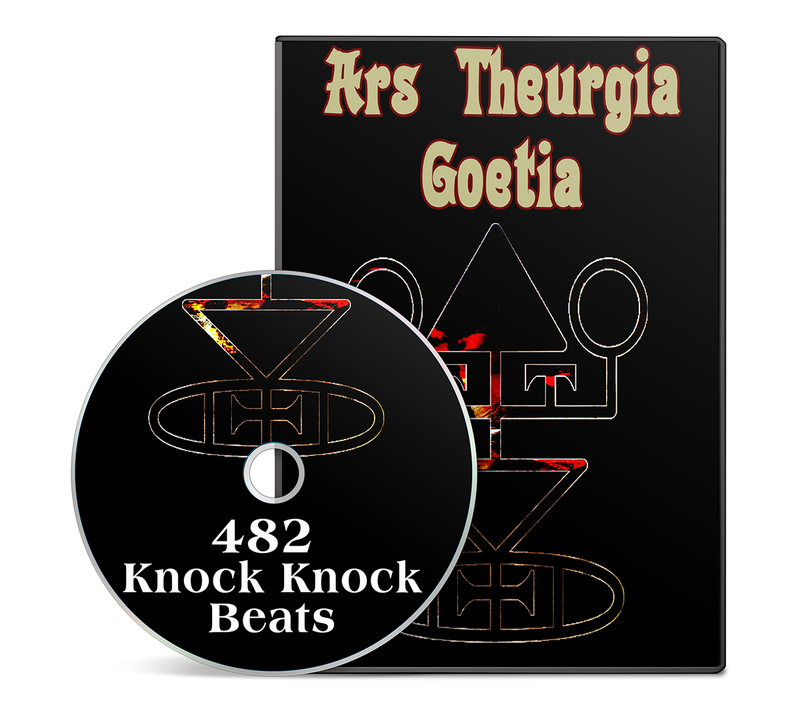 Theurgia Goetia breaks the bank with 482 spirits to call. Much has been written about experiences of magicians with the 72. Some have ventured deeper into working with the Theurgia Goetia powers. The one question that pops up is how effective are those names? Are the information accurate or outdated? People have reported mixed results. Does the issue lies with the magician, method, or the name? Is there a quick and objective way to verify all this? 482 names are a lot. Is there a quick way to make initial contact with them all to decide on which one is better suited to your personal needs? Let’s be honest here. Let’s say it takes you 120 minutes to perform a solid evocation. Some spirits don’t respond objectively right away. It may take a few attempts to get a real solid link going. Let’s say on average it takes 300 minutes to call one of those. To summon all 482 it would take you 144,000+ minutes or around 2,500 hours. Most magicians would never do that and prefer to just intuitively focus on couple of names. You could be losing on a powerful connection that can have very positive effect. On the flip side, you can end up with a spirit that is dangerous and chaotic. Sorting all this out safely and with minimal energy is a challenge. This is where the powerful magical technique known as Knock Knock comes in very handy. You can use the Knock Knock beats to test the names in 1/10th of the time. These binary beats are like radio signal that attract the spirits very quickly. They have generated a fair share of manifestations in the past when used with the jinn. All you have to do is play these binary beats on a speaker at night in the proper setting with incense. The objective nature of these beats means that you can trust that any results isn’t due to mental biases. You can quickly feel what kind of being is approaching and put the debate to rest. It is one of the safest methods and quickest to produce results. You don’t need to open demonic gates or make pacts or invest in major summoning just to realize you’ve made a mistake. You will also receive the Golden Mean names for all 482 spirits. The Golden Mean names are magical words of power that pulls the Jinn and many other kind of spirits to you like a magnet. It is like receiving a direct and urgent text in your phone. They answer quickly after you intone and chant these names. They have proven effective when working with various jinn. They can double the chances for success while halving the time it takes to attain results. The vibrations of these names have a powerful pull on spirits of all kinds. The Golden Mean and Knock Knock audio beats are powerful tools and one of the safest approaches before you commit yourself to anything serious. Get this package before the clock timer ends for a good deal AND a special bonus gift that will not be available anywhere else. Note: This is a limited timed package. The Goetia package has already been discontinued. Don’t miss out on the Theurgia Goetia.